ATIS Srl. 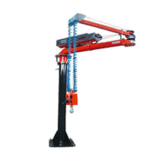 design and manufacture pneumatic industrial manipulators of reputable and safe mechanical engineering characteristics. Thanks to experience that spans for more than 30 years in design and manufacturing of pneumatic industrial manipulators, innovative devices were introduced to eliminate series of technical hitches usually attributed to equipment such as pneumatic manipulators. Therefore, we are able to guarantee equipment of maximum quality and total safety. 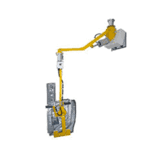 Example of the innovation is the pneumatic balancing device in use on ATIS manipulators, which allows operator to move about a product without the use of a dedicated handle or specific control push button. By doing so, movement is pretty much natural and precise. 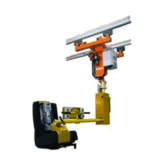 Therefore, the operators are left with the possibility to choose the most suitable method for moving about their products in total safe working conditions. 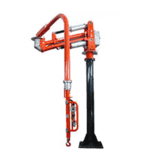 The complete range of ATIS pneumatic manipulators, deployable in every production section of diversified industries, are designed and manufactured to meet customers’ specific requirements and enhance the values of resources at customers’ disposal. "Theseare the characteristics that led to our rapid growth and recognitions from major blue chip companies of world wide acclaim" says CEO of ATIS Srl.